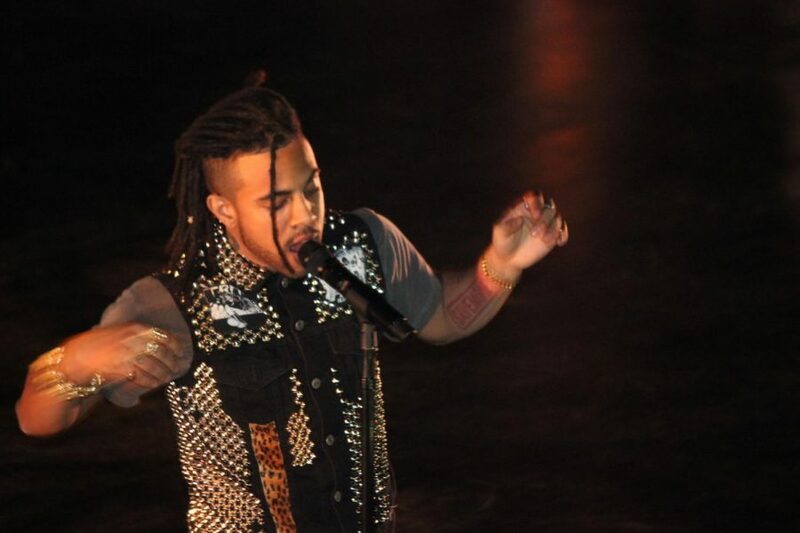 After several mesmerizing performances from nine groups who rapped danced or played on awesome LED drums, Vic Mensa held an inspirational improvisational Q and A with the audience during “The Turn Up” on Feb. 1. Originally, graduate assistant for Student Leadership Development Albert Chanthaboury said he had a set of predetermined questions for Mensa. Chanthaboury said it was Mensa’s idea to open questions up to the crowd instead. Several people from the crowd raised their hand during the Q and A to be picked by Mensa for questions. “One key part to take from your question and think about is: ‘as we evolve’,” Mensa said. “Have we evolved? Is our society today further along and more progressive as a whole than when the music you’re talking about was made? “I think we’re at a place in time when people as a whole hit on communities that are not very progressive and the music reflects that,” Mensa continued. His response was unexpected to me. Partly because I didn’t think he would be so honest, but another part is how Mensa adequately highlighted the similarities of our society to previous generations. NEIU student Antonio Brito said, “To be honest, I was a little disappointed just because it was condensed, it was short. I just wish he was there longer, but he was amazing. It was a pretty good show. “The Turn Up” was a sold-out show with 30 volunteers from Greek organizations and 10 campus officers ensuring the safety of the people.